Length of Trail: There are over 13 miles of trail, with good footing, mostly on fire roads and rolling hills. It is a truly beautiful trail with spectacular views. Staging Areas: There are three staging areas. Santa Ysabel staging area East and West are open 7 days a week, 8am-5pm in the fall and 8 am-sunset during the spring and summer months. 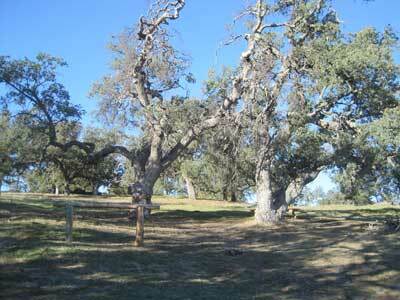 During inclement weather, the Santa Ysabel Preserve may be closed. West: Highway 78, one mile west of Santa Ysabel at call box #495 or across the street from 29313 Hwy 78. This is the most accessible staging area. There is space for several trailers. The staging area has a portapotty and a water trough for horses, but no corrals. Take Highway 78/79 into Julian to Main Street. Going north, Main Street turns into Farmer Road. Take Farmer Road to Wynola Road and turn right. Turn left back onto Farmer Road. Pass the Volcan Mountain Wilderness Preserve on your right. Santa Ysabel is on the left, about one mile from the Volcan Mountain Wilderness sign. There is a fenced staging area for several trailers. The staging area has a portapotty, water trough for horses and a picnic table. 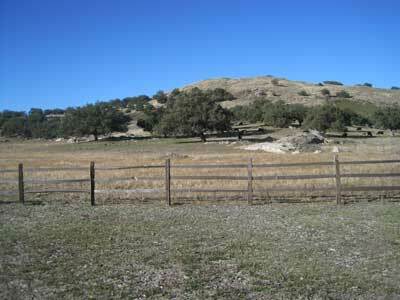 The East-Hwy 79 Trailhead, 1.5 miles north of Santa Ysabel, just south of the Santa Ysabel Mission, requires parking and staging along Highway 79 which is not very suitable for horses and trailers. Trail Users: The trail is open to hikers and cyclists, as well as horseback riders. General Trail Info: There is no overnight camping. Please stay on trails. It can be hot and dry in summer and there is no water available on the trails. From County of San Diego website: “Oak woodlands, native grasslands, and fields of wildflowers are some of the settings you will experience during your hiking, biking and riding adventures within the boundaries of this 3,800 acre preserve. More than 13 miles of multi-use trails wind through the various habitats in this scenic mountain preserve. 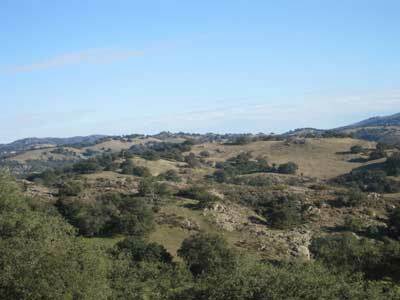 Santa Ysabel Creek runs along the entire northern boundary of the preserve.